In order to provide effective and efficient software testing services, IT enterprises globally are implementing various automation solutions. At Evoke, we have been actively offering automation solutions for numerous customer engagements across multiple industry verticals. Our team is constantly developing new and innovative approaches for test automation utilizing Selenium framework, thereby helping enterprises to improve their service quality and reduce costs. As part of this endeavor, we have come out with a Selenium framework that helps testing teams to automate the validations of URL based APIs and Microsoft Excel spreadsheets. The Selenium driven framework developed by Evoke automates submission of requests and validates the response using a web browser, thus reducing significant manual effort. Driver scripts developed in Java. Test data provided in an Excel spreadsheet. Reads the data from request column in an Excel spreadsheet. Invokes the web browser and navigates to the URL based on the request. Validates the response returned via browser body against the expected value in an Excel spreadsheet. Updates the test case result in the spreadsheet. Preparing the test data and validating each scenario manually takes approximately 10 minutes. To prepare the data and validate 350 scenarios takes approximately 7 man days per resource. However, with the implementation of the recommended selenium framework the time is reduced to 1.5 hours (approximately). Selenium framework is easy to develop and the test cases can be maintained effortlessly, as all the test scenarios and test data are driven off the Excel spreadsheets. This Selenium framework can be readily integrated with Continuous Integration (CI) build deployment process. Before making use of the aforementioned Selenium framework, software testers need to set and configure the environment by downloading and installing the Java platform, Microsoft Excel and NetBeans IDE. In the NetBeans IDE, create a new project with a Java application. Select ‘Java’ in categories and then select ‘Java Application’ in the ‘projects’ section and click on the ‘Next’ Button. Provide a ‘Project Name’ and click on the ‘Finish Button’. Right click on the ‘Project Libraries’ folder and select ‘ADD JAR/Folder’. Select the jar files from your local machine and click on ‘Open’ button. The next step is to add the below mentioned jar files to the project. Provide the path or location of the Excel spreadsheet. Here’s the process to execute the Selenium framework. Provide the API URL values in the Excel spreadsheet. Create a new spreadsheet for execution of reports. Include the sheet number in the ‘exeSheetNum’ variable. Add the execution report sheet number into the ‘reportSheetNum’ variable. Click on the ‘Run’ button on the NetBeans IDE. The NetBeans IDE automatically launches the ‘Internet Explorer’ browser and passes the URL value into the browser. Subsequently, it obtains the response value and compares it with the expected value, thereby displaying the results (PASS/FAIL). After successful execution of all the above steps, the execution reports are updated in the spreadsheet number mentioned in the Selenium framework. To know more about Evoke’s world-class IT services, please connect with us at +1 (937) 660-4925 or write to us at sales@evoketechnologies.com. 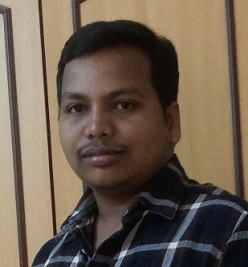 Shiva Prasad Banda is a Software Test Engineer at Evoke Technologies. His area of expertise includes manual testing, developing automation solutions using tools such as UFT, Selenium, SOAP, etc. Shiva is constantly engaged in upgrading his skills by exploring new testing technologies and frameworks. Hi Shiva, this is really good. How to get this sample project ?